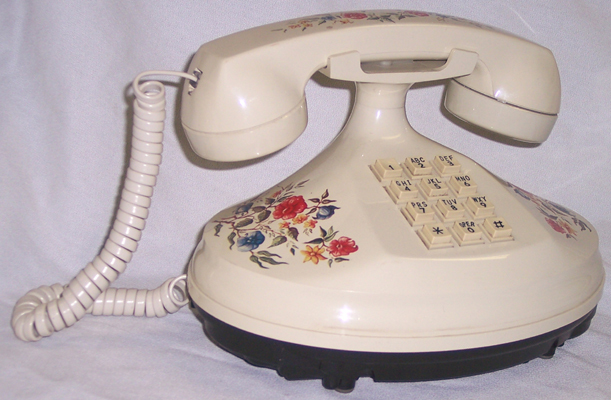 IVORY Empress Telephone made by American Telecommunications Corp. with blue, reddish pink and light green flowers. 8-1/2"x6-1/2"x5-3/4" tall. Touchtone.